Virginia is located in the South Atlantic region of the United States. Although Virginia is small, it has a lot to offer to visitors. For nature lovers the Shenandoah National Park is a “must to visit”, with its spectacular vistas, waterfalls, labyrinths of caves and beautiful woods. On top of pure nature at her best, the state has also plenty of amusement and water parks offering another kind of attractions and fun-time for whole families. These will be for example Dinosaur Land, Kings Dominion and Virginia Beach Motor World, Ocean Breeze Waterpark and Splash Down Waterpark. The latter two are the best places to go to if you are looking for family fun time in the water. You can spend a day at the Natural Bridge Zoo or at the Virginia Zoological Park and admire the animal kingdom in beautiful settings of nature. Jessie Lea RV Park is located in southwestern Virginia in the mountains. It is a family owned park with clean facilities and a quiet atmosphere. 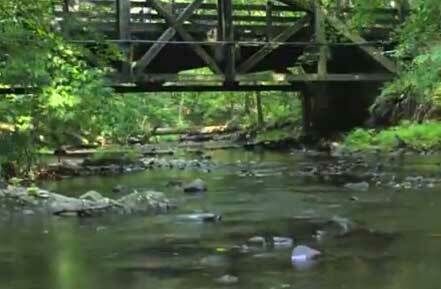 This area is also called the Heart of Appalachia and is well-known for its beautiful nature. The park is open year around. There are pull-thrus available and all sites have full hook-up with 30 and 50 amps. Here you can have a picnic along Powell River at the tables provided by the camp. In the covered pavilion you can meet other campers or have a nice picnic with your friends. Jessie Lea RV Park is a pet friendly park, but they have a few regulations and restrictions. Nearby there is plenty of historic attractions. Just few ideas - the campground you can easily reach the Appalachian African American Cultural Community Center, Daniel Boone Wilderness Trail, Guest River Gorge Trail and Harry W. Meador Coal Museum. Prince William Forest RV Campground is located in the natural area called Prince William Forest Park. The region is known for its natural beauty, but it also has rich history that you can discover. The RV campground is open all year. They offer paved pull thru sites, they also have some new big rig sites with 50 amp for larger RVs. You can choose between full hookups or only electric and water services, but the price difference between the two is minor. You can use all the facilities for free at the campground including a swimming pool and hot showers. This is a family friendly park, children under 5 can stay for free. The area of the campground shows evidence of human history reaching back to 8,000 B.C. They are only 4 miles from Quantico Marine Base and 5 miles from Potomac Mills Mall. Fries New River Trail RV Park is located in a quiet mountain region surrounded by deep forests and hills. You can camp here in a lush green area along the stream and enjoy silent, spacious sites. There are full hookups with city water & sewer and you can choose from 20 Amp, 30 Amp, & 50 Amp service at each site. All the facilities are included in the price, even Wi-Fi access and cable TV. You can have a picnic at the campsite but no fires are permitted here. Bird-watching is one of many nature-oriented activities you can do here, this area of Virginia is famous for the great variety of bird species. Besides enjoying the tranquility of the park, you can go to town and see the local flea market and antique stores. The town, New River Trail & New River is at the walking distance from the park. This RV Resort is located next to the Blue Ridge Mountains in Hillsville, Virginia. Even when the season “officially” ends due to the winter, pull-thru sites with full hook ups are still available for travelers. The amenities for the full hookup site include electric (20, 30 and 50amp), water, sewer, fire ring and a picnic table at site. Some of the sites have concrete patios. The camp store has several grocery items, RV supplies and souvenirs. The park has its own 4 acre catch & release fishing lake. There are two 400' water slides, two giant pools and of course almost unlimited opportunities for water activities. If you prefer golfing, then you find here mini-golf course. During the summer there are many events and activities organized at the park, for example hayrides, movies (there is a dedicated Movie Room) and themed activity for weekends. The Blue Ridge Mountains is also a great gateway to the local state attractions…. Fort Chiswell RV Park is open all year. It is located in Southwest Virginia, in an area with lots of hiking trails around. It has large pul-thru sites with full hook ups, water, sewer, 50 amp electric and cable TV. The game room has video game machines for adults and children as well (if you do not like it, then just keep away). For kids there is a large playground area with basketball court. There is a fishing pond at the campground, with bass & catfish. You can also just relax in the Park’s heated pool….. The bathhouse with the laundromat is located in the center of the park. All mentioned amenities included in the price of camping. For dedicated shoppers – at the walking distance you can find an Outlet Mall and antique shops. Those looking for enjoyment may turn to the nearby family fun-park where you will also find golf courses. Finally you may also consider visiting Shot Tower Historic State Park and New River Trail State Park as well as some of local museums. In Virginia, you may want to visit the caverns or look around Norfolk to see how the community lives near a Navy base. Most campgrounds are listed according to facilities and amenities needed for a pop up camper, motor home or any other recreational vehicle. This current directory of campgrounds: tent and RV camping parks Virginia (VA) has some campgrounds that allow a mobile home to be parked on the lots, this way you can enjoy camping whenever you need to get away. Some of most beautiful areas have a beach camp and plenty of room to park a motorhome trailer as well as other recreational vehicles. Find a directory of campgrounds: tent and RV camping parks Virginia (VA) and see if any of them meet your needs as far as location. 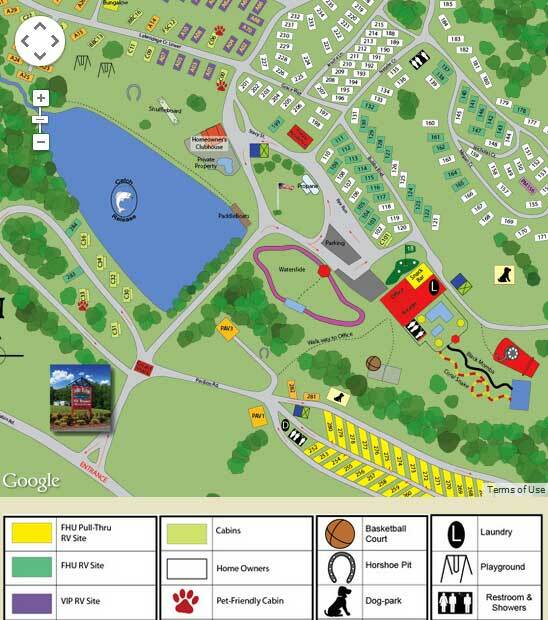 The campgrounds are clean and friendly, so you can meet new friends and share some good times.